July 5, 2017 By Todd Burgreen & filed under All Articles, Rifles & Carbines, Weapons. Bergara LRP Elite test fired at EVTC shooting bench with multiple .308 Winchester loads from Winchester, Federal, Hornady, and Black Hills. This is the golden age for enhancing established firearms past what was thought possible only a few years ago. And I’m not talking only about ARs, AKs, Glocks, and 1911s. Even the standard bolt-action rifle is getting a makeover in terms of performance and appearance. This is in large part due to the rise of CNC machining and other cutting-edge manufacturing techniques. The Bergara Long Range Precision (LRP) Elite bolt-action rifle is an excellent case in point. Bergara is part of BPI Inc., which also controls CVA, Dead Air Suppressors, PowerBelt Bullets, Quake accessories, and DuraSight scope rings. BPI is in turn owned by the Spanish firm Dikar. However, BPI is based in Georgia and its focus is the American market. Its various products are conceived and made here in the United States for American consumers. The Bergara LRP Elite is no “plug and play” creation relying solely on installing an action into a chassis and calling it good. High-quality components are used in the LRP 17 Elite, but the Bergara Custom Shop believes in the one gun-one builder philosophy that assures rugged, reliable, repeatable accuracy. This stems from the man in charge of the Bergara Custom Shop offerings, Dan Hanus, a 22-year Marine vet who honed his craft in the renowned Marine Quantico Precision Weapons Section. While Bergara offers a full line of affordable sporting rifles centered on their in-house manufactured barrels and actions, their Custom Shop focuses on producing highly accurate tactical and hunting rifles with their Premier models. Nightforce rings mounted Nightforce ATACR 5-25X optic to Bergara LRP Elite. The LRP Elite features the Bergara Premier Action. It is further distinguished by a No. 5 medium contour Bergara barrel, Timney Trigger, and Orias chassis from Mega Arms/Killer Innovations. The Elite version has a suggested retail price of $2,640 and is available in .308 Winchester, 6.5 Creedmoor, and 6mm Creedmoor. Every Premier Rifle comes with a sub-MOA accuracy guarantee testing every Premier rifle before it leaves their shop. Bergara includes the test target with the rifle indicating the ammo used, so a customer can either continue using that ammo, or experiment with other brands to ring out even more accuracy. The Bergara Premier Action (BPA) shares the Remington 700’s footprint, making it compatible with the plethora of Model 700 aftermarket triggers and other accessories. 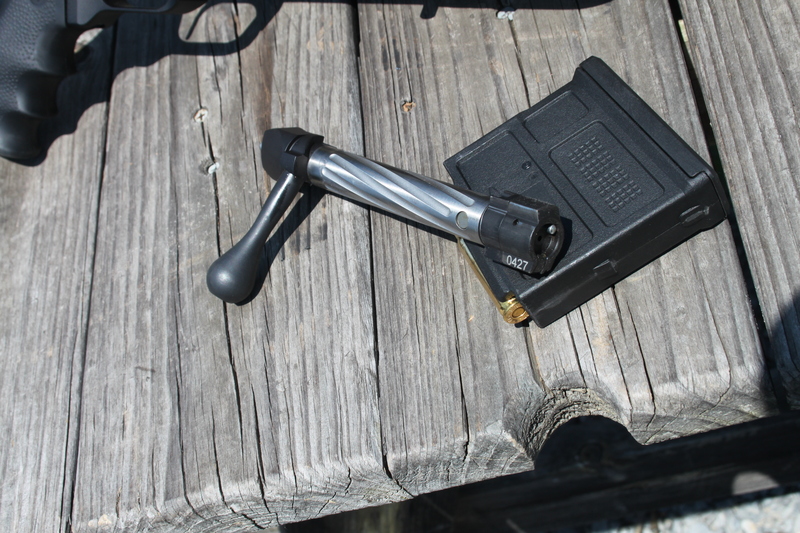 The BPA action features spiral fluting to minimize binding even when dirty, a floating bolt head (ensuring perfect alignment to the receiver), stationary gas shield, sliding plate-style extractor, two locking lugs, and a 90-degree throw. The U.S.-made 16-ounce BPA (short action) features an extended collar that incorporates and conceals the recoil lug. Bergara’s fluted bolt is not only for aesthetics. It also lightens weight and prevents binding when dirty. Bergara is especially proud of their barrels. The controlling of barrel production gives Bergara a competitive advantage compared to other brands in terms of accuracy and cost control. In 2003, BPI approached parent company Dikar with the idea of taking advantage of renowned Spanish steel quality to produce barrels. An important part of this plan was the involvement of Ed Shilen as a consultant in the process. Shilen’s barrels have won 13 world records and he is an inductee into the Benchrest Hall of Fame. Bergara wanted to create custom-quality barrels at production prices. Shilen helped Bergara develop manufacturing techniques that would make this possible versus the tedious hands-on procedures commonly associated with custom barrels. When the Bergara barrel factory was set up, it purchased state-of-the-art computerized machinery and robotics. Shilen’s techniques, combined with the new machinery, produces custom quality barrels at a price point benefiting from the larger production runs. Material advantages mean nothing if the people creating the rifles are not qualified to do so. For example, the barrels, which were previously inspected at the Bergara factory, are re-inspected and hand-lapped. All diameters are cut to exact measurements. There are no plus or minus allowances. The centerline of the bore, after the barrel is screwed into the receiver, must be true to within .0002 inch. Typical accuracy exhibited from Bergara LRP Elite. The action is pillar-bedded in a compound called Marine-Tex, which is impervious to chemical breakdown and has almost zero shrinkage over time. Before the action is glued in, the components are dry-fit until they match perfectly. Chambering is done by hand, and the reamer pilots are individually ground for each barrel. Threading is done by hand, and each action is hand-lapped to the barrel to ensure proper lockup-thread engagement. There is zero crush factor (lug setback) in the action. Dan Hanus’ influence and procedures learned at Quantico are evident. The LRP Elite takes advantage of the Orias chassis’ rear trunnion design by fitting a Magpul PRS buttstock. The LRP Elite provides the end user with a modular stock that is easily configured as needed—bipod, tactical light, night vision, optics, etc. A KeyMod compatible forend enhances this capability. The LRP Elite measures 41.5 inches overall with a 20-inch 1:10 twist barrel. 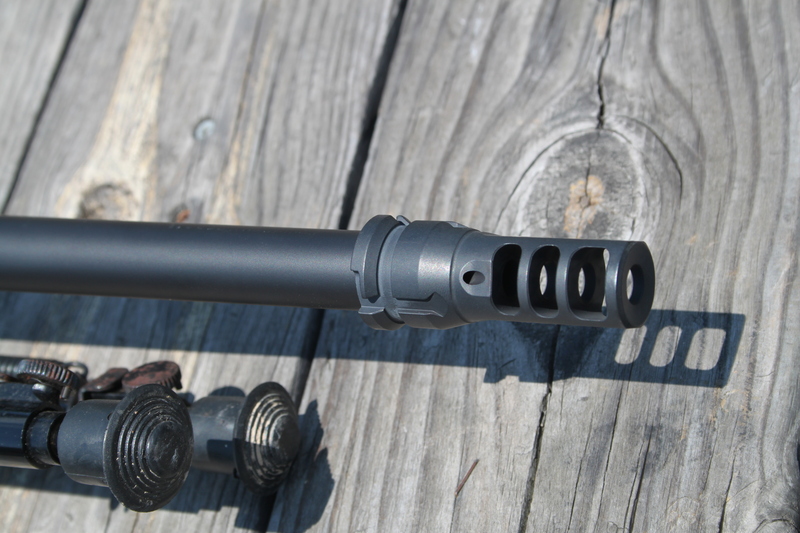 A Dead Air brake/suppressor mount is affixed to the Bergara threaded muzzle via 5/8×24 threads. Weight is 11 pounds. A Magpul five-round 7.62 AC detachable magazine arrived with the LRP Elite. Dead Air muzzle device arrives on Bergara LRP Elite. This is compatible with mounting a Dead Air suppressor. It can be replaced if user desires. 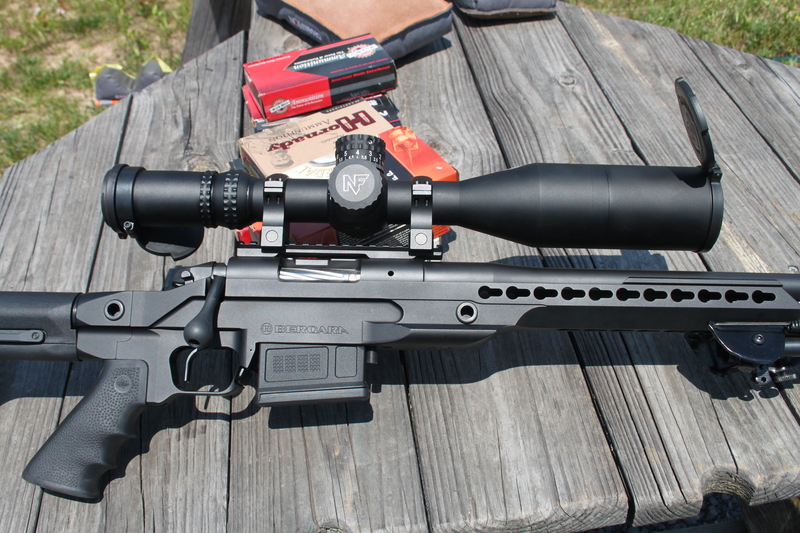 A Nightforce ATACR 5-25x56mm (34mm tube) was mounted on the Bergara LRP Elite via Nightforce rings. The Nightforce ATACR can be fitted to the biggest magnum boomers due to constant 3.5-inch eye relief at all magnifications. The Nightforce’s tough construction is perfect for recoil resistance due to inertia forces experienced during recoil as well as rough treatment typical of deployments. The ATACR has 120 MOA of elevation adjustment and 60 MOA in windage. This all lends itself well to long-range shooting adjustments. The Nightforce ATACR features multi-coated ED glass. Based on my research, ED (Extra Low Dispersion) glass prevents or lessens chromatic aberration because it concentrates and directs the wavelengths of light more effectively. Generally speaking, the better the aberrations are controlled, the cleaner and brighter the image appears, which is especially important for long-range high magnification observation and shot placement. Other notable characteristics of the Nightforce ATACR optic are second focal plane reticle, ZeroStop elevation adjustment, .25 MOA or .1 Mil adjustments, Hi-Speed elevation adjustment with windage knob capped, separate parallax adjustment with distance markings, digital reticle illumination, enhanced engraving, integrated power throw lever, and XtremeSpeed diopter adjustment. Bergara LRP Elite is compatible with AICS detachable magazines. Magpul five-rounder ships with the rifle. The Bergara LPR Elite is configured for use of detachable AICS spec magazines with the Magpul variant shipped with the rifle. The LPR Elite’s seamless integration of a detachable magazine makes it worthy of consideration in its own right even without all the other enhancements. The mag well is designed to line up the detachable magazine’s lips with the Bergara action’s feed ramp. The Orias chassis is configured to send rounds from the detachable magazine nearly directly into the chamber, limiting the chance of feeding issues. This enables the action to be cycled smoothly and rapidly without worrying about driving bullet tips into the feed ramp, which prevents chambering. 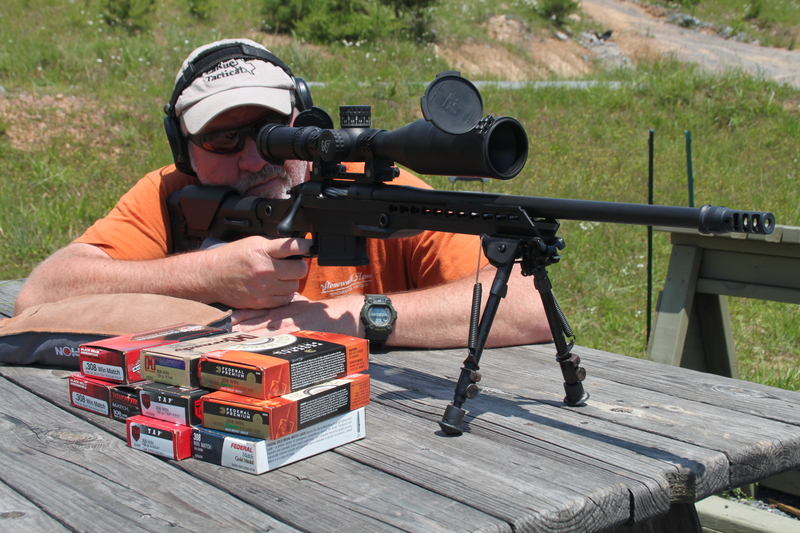 Several visits to the range with the Bergara LRP Elite solidified appreciation of what the rifle has to offer. Bipod attachment was possible via the KeyMod Rail interface, with placement options easily achieved along the bottom of the railed forend. 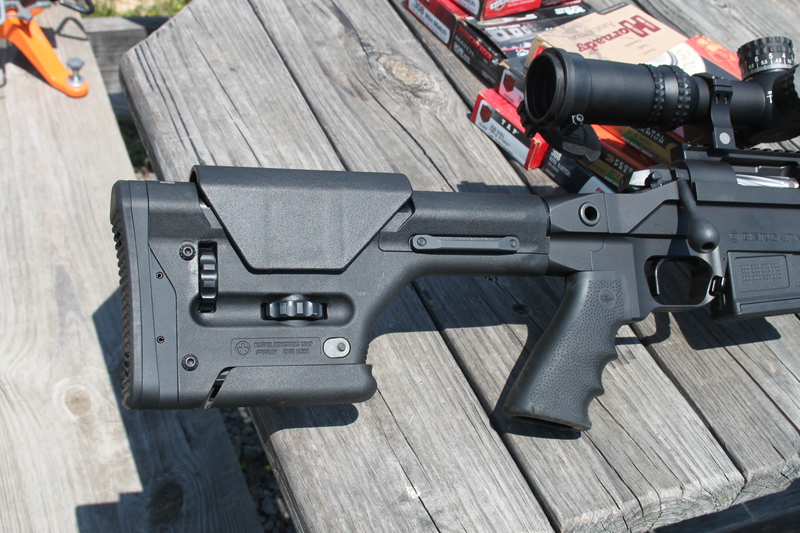 The Mapgul PRS buttstock proved ideal for bench and prone shooting. It rode support bags well while maintaining the ability for offhand shooting. Various premium .308 Winchester loadings from Black Hills Ammunition, Federal, Hornady, and Winchester provided the basis of accuracy tests. 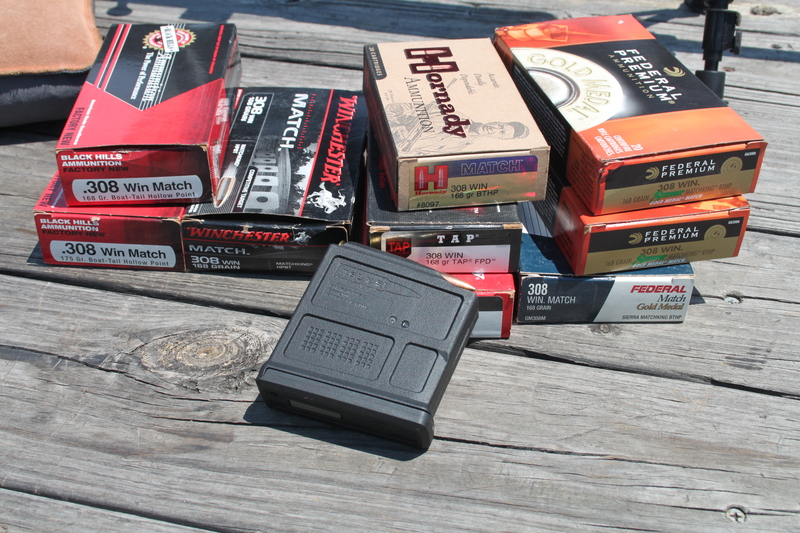 The Black Hills Match loads tested consisted of both 168- and 175-grain. The Federal chambering was the venerable 168-grain Match load that still serves as the benchmark for performance. A 168-grain Match load from Winchester was also used, as well as Hornady 168-grain TAP and BTHP loadings. LRP Elite takes advantage of Orias chassis’ rear trunnion design by fitting Magpul PRS buttstock. The Bergara’s 20-inch barrel produced velocity in the low 2,600 feet-per-second (fps) range with the 168-grain loads. As to be expected with quality ammunition, velocity figures within the different loads deviated very little from round to round, as witnessed by shooting over an RCBS chronograph. The LRP Elite produced sub-MOA groups at 100 yards as advertised with the different ammunition brands—an important logistic consideration. The Federal 168-grain Match produced the best 100-yard average at only slightly above ½ inch. All other loads also produced sub-MOA accuracy. Two other signs of an accurate, dependable rifle are how cold-bore zeros compare over time and if the point of aim shifts after a few rounds heat up the barrel. The Bergara LRP Elite showed no shifts in point of aim, and cold-bore zeros produced fine groups when overlaid together comparing different range visits. 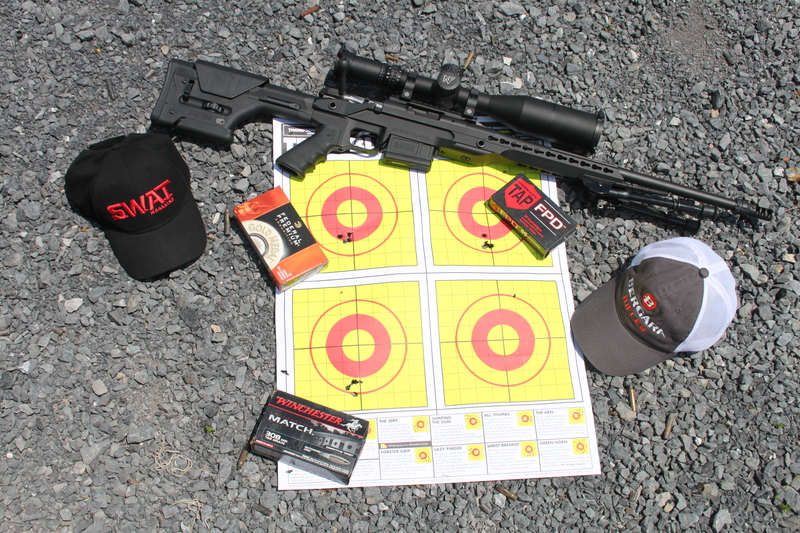 Steel targets were smacked with ease out to 310 yards using a field-expedient prone position at Echo Valley Training Center. Bergara LRP Elite is the form modern tactical bolt-action rifles are assuming. The Nightforce ATACR’s 5-25X power range provided solid optic support no matter what situations or conditions were encountered. The Bergara LRP Elite maximizes portability and handling while maintaining .308 Winchester ballistics and terminal performance thanks to the 20-inch barrel. Bergara’s bolt was slick in operation, requiring minimal effort to work it in extracting the spent case and chambering a fresh round. The combination of world-class Nightforce optics and Bergara attention to detail in creating the LRP Elite generates performance equal to any rifle I’ve tested. Despite its relatively new appearance in the marketplace, the Bergara LRP Elite is a viable tactical platform that holds its own in every evaluation category. Any department, agency, organization, or individual looking for a new rifle model would do well to consider the LRP Elite. The Bergara LRP Elite has been purchased by police departments, law enforcement snipers, long-range shooters and private security consultants who specialize in counter-sniper operations. Feedback has consistently praised the LRP Elite’s ease in fitting out as the mission dictates, plus its quality construction and accuracy level. Satisfied buyers also appreciate the fact that the Bergara LRP Elite is U.S. made.